Hello all, welcome to another Audio Tuesday, and Jessie Potts is here again from the HEA blog to talk about some of her most recent audio finds that's she's really enjoyed. This week there were soooo many releases that I couldn’t finish them all! Here are a few that I’m in the middle of listening to, I highly recommend using your credits on these! First we have a half fae inspector learning to work with a hot noob partner, a strong heroine matched with a brilliantly complex hero, and a retired solider dealing with PTSD. Get ready to treat your ears! 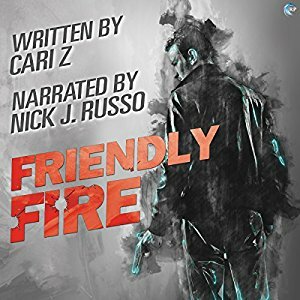 This audiobook is an amazing blend of action, fantasy and steam. 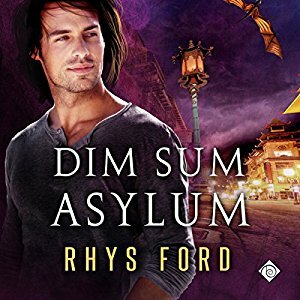 Greg manages to perfectly capture Roku’s chaotic world of magic, darkness and what it means being an inspector in Chinatown Arcane Crimes Division. There’s so much fun and action I couldn’t multi task while listening to this one, I was so caught up! 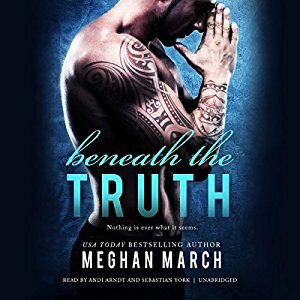 I love multiple narrators and Andi and Sebastian are great playing off each other in this seventh book in the Beneath Series. The setting is New Orleans and for those of you waiting to see if Rhett finds his HEA, you won’t be disappointed. I’m so disappointed this series is ending, but dang it if Meghan doesn’t do an amazing job wrapping everything up. I will say you can read/listen to this as a standalone! I love this narrator and Nick does an amazing job portraying Lennox with his PTSD and Elliot, who is so… obstinate! While sometimes you’ll find yourself wanting to slap Elliot, watching Lennox slowly learn to trust and relax while the sparks fly will definitely have this story fly by! More books to add to my Audiobooks library. All look interesting. Thank you. I so agree. Dim Sum was beyond Awesome. The other two.... well my TBH (to be heard) list is going to be even longer! There just aren't enough hours in the day. Cutting the cable cord was so amazing. Instead of TV on in the background, my Audible is playing non stop. Once they make the apple watches able to sync and have all my library I'll be a happy listener!